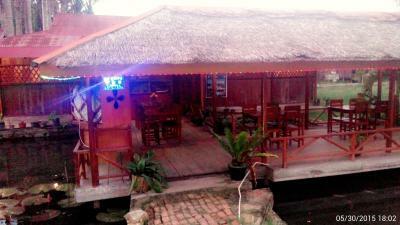 Located by the river edge at the downstream end of Poso Lake and the village nearby. 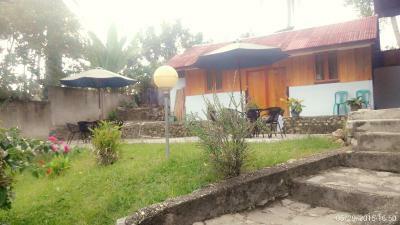 Modern and spacious rooms in a nice garden, close to the centre. Staff is extremely friendly and helpful. Wish we could stay longer. I arrived in the middle of the night in Tentena and there was a motor taxi there to pick me up (had to pay a little but was so happy that there was someone to pick me up!!!). 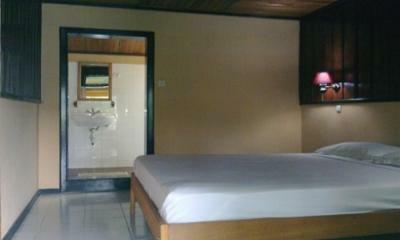 The room was simple, but the bed comfy and very clean. I was so happy to have a proper shower again! Laundryservice is good, the internet perfect, staff super friendly though hardly anybody speaks English. I stayed 3 nights (I had to get organised) and enjoyed great dinner for great value in my room! Breakfast was ok.
What a gem in the rough! An absolute steal of a deal. Hot shower, clean, comfortable beds, lovely breakfast, pretty view, staff was so helpful and kind. relaxing site with kind people. Good price per value rate. 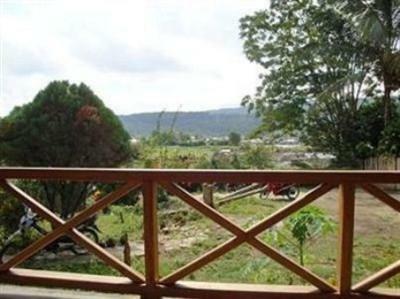 Ue Datu Cottages This rating is a reflection of how the property compares to the industry standard when it comes to price, facilities and services available. It's based on a self-evaluation by the property. Use this rating to help choose your stay! 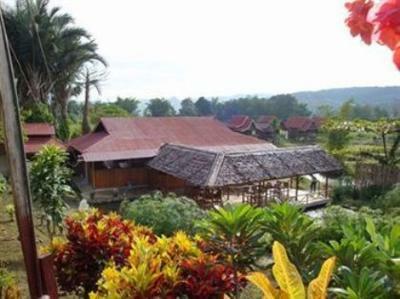 Ue Datu offers traditional Indonesian cottages with free Wi-Fi along Poso Lake. It is a 5-minute walk from Tentena Village, the starting point of hiking tours to Morowali Reserve and Bada Valley. 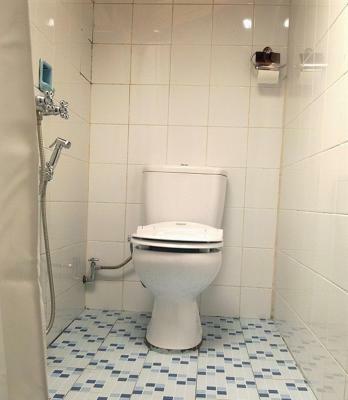 Fitted with tiled flooring, rooms are simply furnished with a seating area and tea/coffee making facilities. 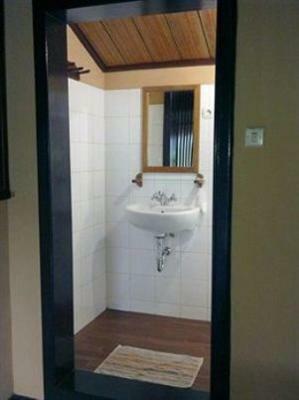 Private bathrooms are equipped with shower facilities. 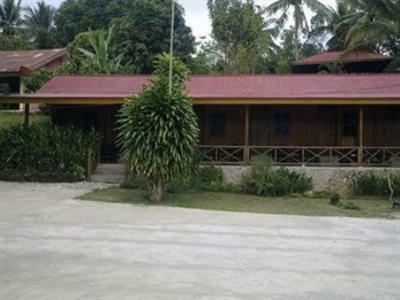 Ue Datu Cottages is an hour's drive from Poso Airport. Free parking is provided for guests who drive. 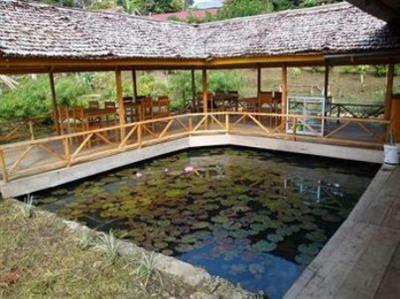 Guests may arrange day trips to Latea Caves or Wera Salopa Waterfall at the tour desk. 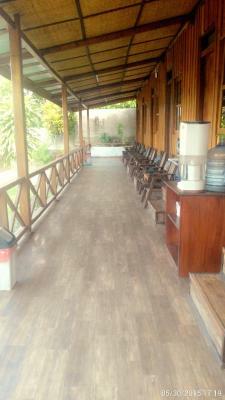 The resort also provides bicycle rentals and laundry services. 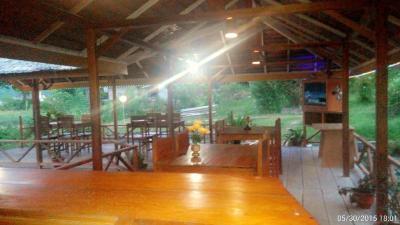 The on-site restaurant serves a selection of Indonesian dishes. A buffet breakfast is also available there. Alternatively, breakfast can also be served in rooms. 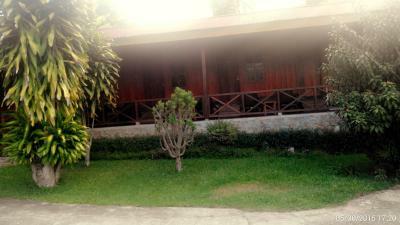 When would you like to stay at Ue Datu Cottages? House Rules Ue Datu Cottages takes special requests – add in the next step! Quite pushy to sell trips and transport. The location and hot shower. It is far away from the centre and difficult to find out. The 2 guys, Nine and Johnny, who were taken care of tours and transport to and from the place, were very aggressiv in their way to get jobs. They even denied to bring us to the busterminal, because we didn't want to hire a car to our next city. They even booked a hotel in our next city, without telling us, to get commission. 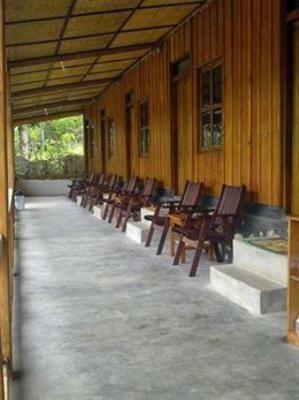 Noisy at times when travellers check in or out during wee hour of the morning as the property is a wooden structure like a long house.